Some lessons just work well don't they? A few weeks back I had one such lesson that I came home and raved about to my husband. His response? "Don't tell me! Blog about it." Yes well, I didn't do it that night and I really wish I had. Since then there've been a mountain of other great lessons but that particular one still stands strong in my memory because I truly felt like I was meeting the individual needs of every student in the room. Actually, I wasn't. They were all meeting their own needs. I started our lesson by referring back to the capacity matrix (if you're new to Langford'a capacity matrices, here's a quick explanation with examples) that we had developed against the ACARA Achievement Standards earlier in the unit. I outlined the available learning activities and matched them to the various capacities and capacity breakdowns and then handed it over to them. They each had a copy of the capacity matrix and hurried off to work on the areas they individually needed to work on. No surface is off limits in our room! As I moved around the room it was such a kick to hear students discussing and struggling with fractions. Yes, struggling! We celebrate the struggle: it means taking a risk and really learning something. We encourage each other to get uncomfortable and even have our own name for the feeling (the itchy tag feeling). The other exciting part for me was that the discussion was all about concepts rather than process. I'm a big believer that there's no point in teaching math processes if the conceptual understanding is missing. With fractions the processes are actually fairly mundane once the concept is grasped. The lesson sped by so quickly that by unanimous vote we extended our time. I was able to spend time with each of the student either individually or in small groups: observing, prompting and coaching. What I noticed was that every single student was learning something different. They had each picked the area they needed to develop and that's where they were putting their efforts. Even those working together had slightly different learning goals. LOVE IT! Our end of lesson reflection was another learning opportunity. Different students had discovered different things whilst doing the same thing but upon reflection learnt from each other. How powerful is that? This was designed by Krissy Venosdale. Or buy it (like I have) here. Of course, if you'd walked into our room during this time it would have looked like absolute bedlam! But you know what? 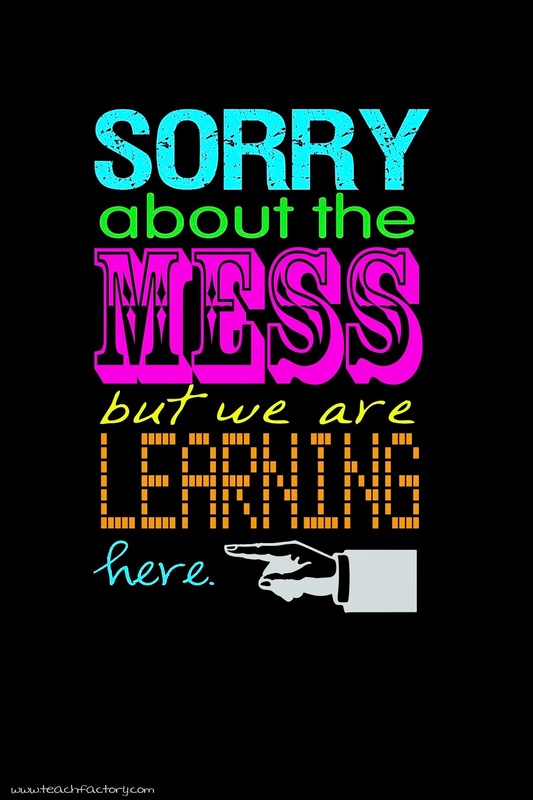 I don't care… Everyone was learning and at the end of the day that's what is MEANT to happen in classrooms right? I have so much more to say about fractions but won't overload this post with it all. In the meantime: I hope everyone's enjoying the change in season! Oh, and if you'd like a copy of my capacity matrix drop me a line. We think it's pretty impressive. 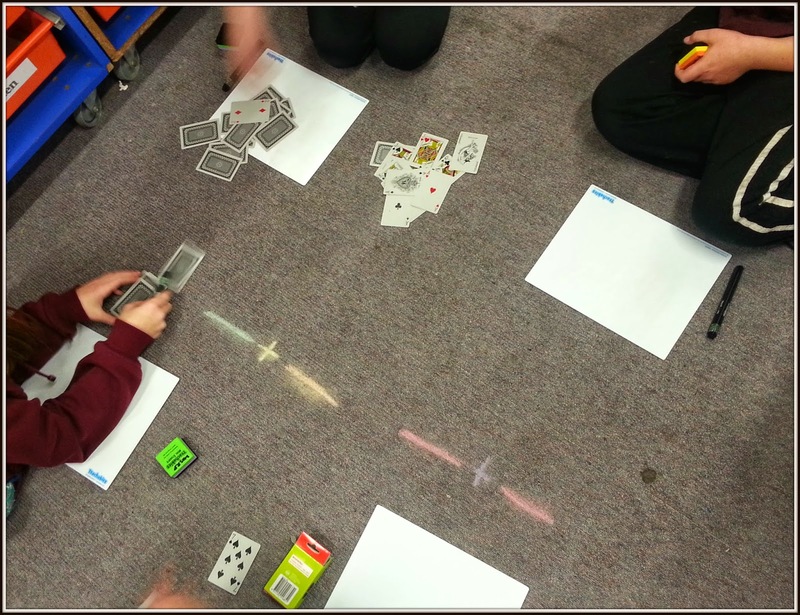 The cards were for fractions or teaching them particular types of counting strategies? For the Mamas and the Papas!